Craft Chu PLCC is a strong team of copyright protection lawyers in Houston, Texas with over 30 years of combined experience. Each member of this comprehensive law firm serves as an intellectual property lawyer, solely dedicated to this area of law for finely developed skills and expertise. Clients in need of copyright protection for either published or unpublished work turn to our firm in their time of need for transparent services and high levels of involvement throughout the legal process. Familiarity with copyright law is vital for the best possible outcome to your case. Specifically, an attorney of Craft Chu PLCC offers protection for authors of “original works of authorship” for literary, dramatic, musical, and artistic works, among others. 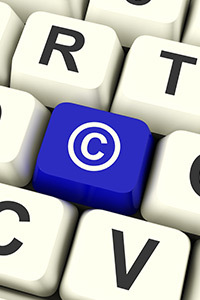 There are exclusive rights bestowed upon an original author pursuant to Section 106 of the 1976 Copyright Act as well. Although many individuals are unaware of these rights, the copyright protection lawyers in Houston, Texas at Craft Chu PLCC will delineate all necessary information for clients. A highly dedicated intellectual property lawyer that protects copyrights is a resource found exclusively at Craft Chu PLCC. Our firm is currently serving as a representative for multiple copyright owners, and can do the same for you in a way that is convenient, client-focused, and effective. For information about the specific copyright protection provided by Texas, the laws of the United States (title 17, U.S. Code), and how our intellectual property lawyers can protect the integrity of your business, contact Craft Chu PLCC at 713.802.9144. *note: Sound recordings are defined in the law as “works that result from the fixation of a series of musical, spoken, or other sounds, but not including the sounds accompanying a motion picture or other audiovisual work.” Common examples include recordings of music, drama, or lectures. A sound recording is not the same as a phonorecord. A phonorecord is the physical object in which works of authorship are embodied. The word “phonorecord” includes cassette tapes, CDs, and vinyl disks as well as other formats. In addition, certain authors of works of visual art have the rights of attribution and integrity as described in section 106A of the 1976 Copyright Act. For further information, see Circular 40, Copyright Registration for Works of the Visual Arts. It is illegal for anyone to violate any of the rights provided by the copyright law to the owner of copyright. These rights, however, are not unlimited in scope. Sections 107 through 121 of the 1976 Copyright Act establish limitations on these rights. In some cases, these limitations are specified exemptions from copyright liability. One major limitation is the doctrine of “fair use,” which is given a statutory basis in section 107 of the 1976 Copyright Act. In other instances, the limitation takes the form of a “compulsory license” under which certain limited uses of copyrighted works are permitted upon payment of specified royalties and compliance with statutory conditions. For additional information on copyrights, you may visit the U.S. Copyright Office.